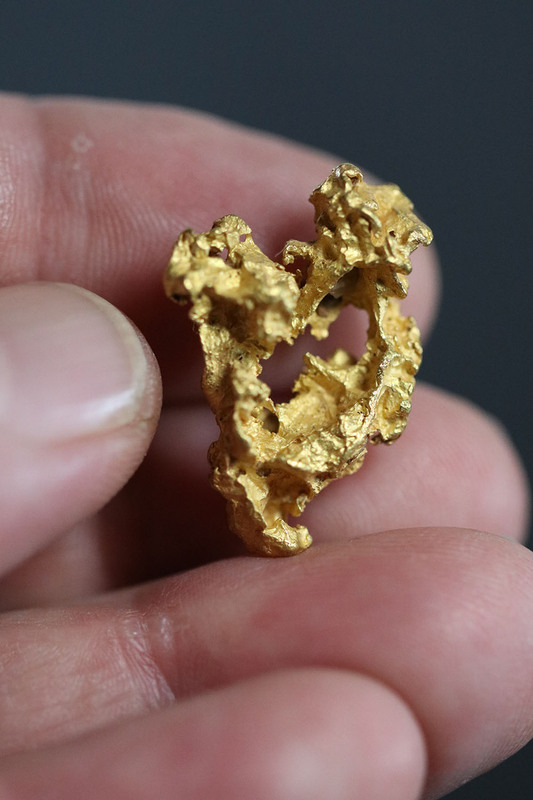 One of the most interesting gold nuggets I've seen from Australia. 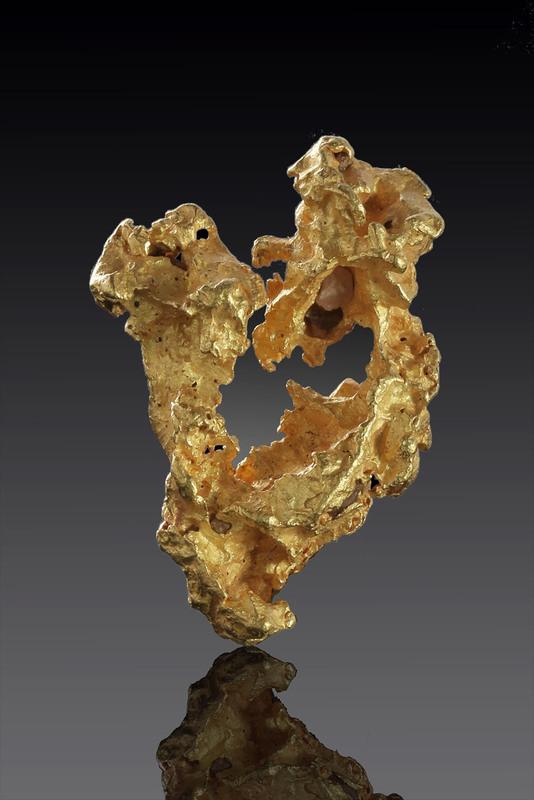 Often times my business partners and I will see an interesting shape on a gold nugget and like cloud spotting, we will say what it looks like or reminds us of. It's usually the shape of an animal. This one stands out and you can very clearly see an older couple embracing one another. 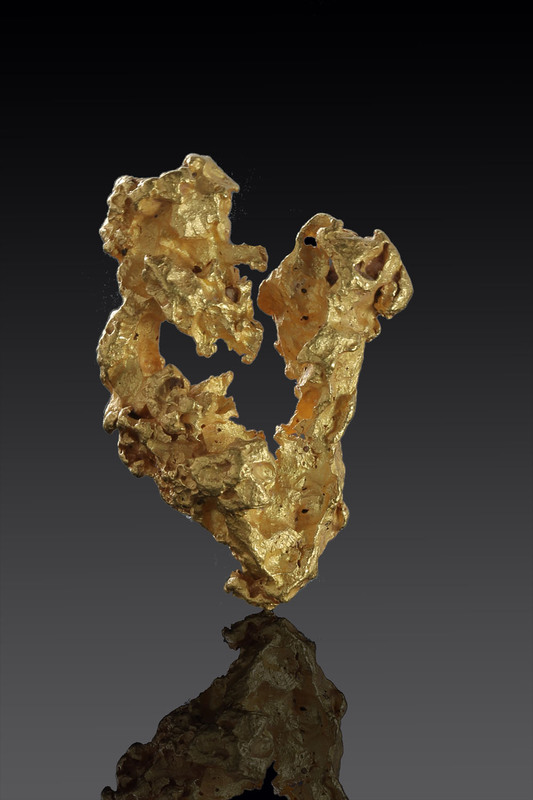 The "man" shape in the nugget even has a long nose and curly hair and reminds us of Abraham Lincoln. 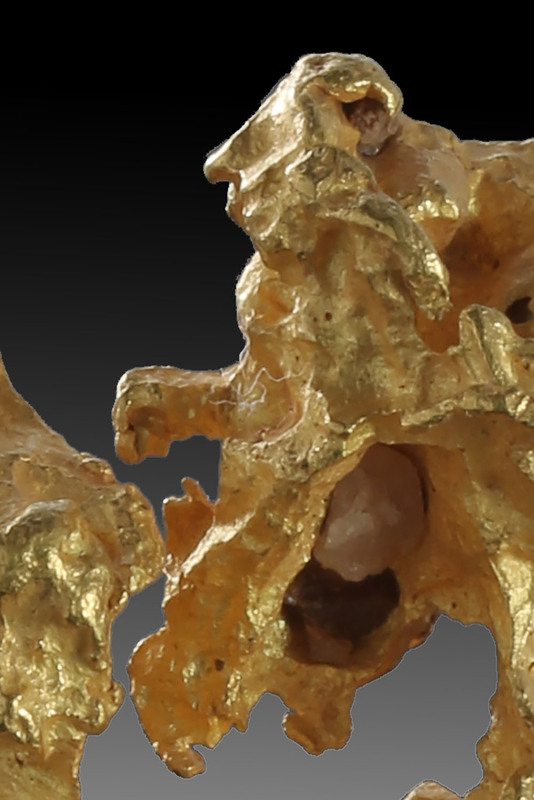 Australian gold is some of the purest in the world and assays at 97 -98% pure gold and this is a one of a kind.